In our May edition of our Preemie Family newsletter we learned about Isaac Nathaniel Green, who was born at 24 weeks, weighed in at 454 grams and spent 104 days in the NICU. Read more in an update by his Mother, Rachel . . .
Coming home was an amazing experience for us. 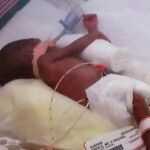 The NICU was so challenging. Being pregnant was the easy part until. I had no issues and found out later on that I was actually pregnant with identical twin boys! My husband and I were so excited but our joy would be short-lived. We were told that the twins had TTTS (Twin-To-Twin Transfusion Syndrome). That was the explanation given to us for Joel not growing as he should. I began the search for answers and treatment. This diagnosis led us to Columbia-Presbyterian Hospital. We were told that this hospital was the only one that handled this type of syndrome. That was great news and off we went. I began to get regular check-ups at the hospital. One day, when I felt especially good physically, I went for my appointment and was told my blood pressure was sky high and I needed to have an emergency C-section performed immediately. The doctor said I needed to check myself into the hospital that night. I followed her urgings and checked myself in. I was in a daze. How could I feel so good and be on the verge of a stroke that could kill all three of us? Once checked in, the doctors had to convince me that this C-section was critical to saving my life. 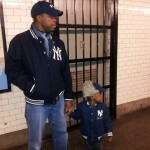 They had already determined that neither of my boys would live so the issue was about my life. I prayed and asked God for a Nurse to say something specific to me so that I could know if I should go through with this. The doctors had left by this time, weary of trying to convince me to have an operation that was certain to end my boy’s lives. I wish I could remember the exact phrase to share with you. I don’t recall it but I remember the Nurse saying the exact words, verbatim. I knew I needed to go ahead. The Nurse also shared that the only shot I would have of possibly saving my boys was to have the operation. If I did not, we could all die. What a choice to make for a new mom. I agreed and the surgery was scheduled for a few hours later. My Mom was there with us and came into the operating room with me. Dale couldn’t do it (lol). I was given local anesthesia and was able to talk and even laugh with my Mom while the doctors were taking my boys. They were both rushed to the NICU. I stayed in the hospital a week to recover. During that time, we went through the NICU visits, waiting for the bad news to come. The first heartbreak came when little Joel died three days after birth. He was so small there was no equipment that could be used to help him and he was under-developed so that hindered the ability of any medications to be given. He could not get rid of waste. We were told nothing could be done and that we should remove him from life support. We prayed and asked God for a miracle but it was not to be. We trusted God and agreed to remove the support. Dale and I held him until he breathed his last. Isaac was in the other incubator on the opposite side of the room. He was in critical condition but he was bigger than Joel when born. The doctor’s didn’t hold out much hope but we did. We prayed for him every day along with family and friends coming to visit. They would pray over him and sing to him as he lay there. There was so much he would have to go through in order to live but he was truly fighting and I believe God’s hand of mercy was on him. He went through two operations, (double-hernia repair and PDA ligation). He suffered through sepsis and was treated for thrush which he never had. He had dozens of transfusions while being treated for jaundice. He was being sustained nutritionally by TPN and then later on, Lipids. Trying to find veins on Isaac at that time was so difficult. I know some of the sensory issues he experiences how are directly the result of the trauma he went through in the NICU. So many other things went on. Much too much for this writing. Along the way, we learned about Apnea & Bradycardia as well as monitoring his oxygen levels. There are just some things parents shouldn’t have to know about, lol! Isaac was placed on every vent possible before finding the one that was meant for him – the Jet. He stayed on that until he was able to get on the CPAP. A little while later he was able to breathe on his own. What a wondrous day! I remember when they were ready to move him from the ICU to the area were the other kids were. This was the first stop before coming home. I just could believe it. He was taking formula on his own (his sucking was great). He was resting comfortably and gaining weight steadily. Finally, January 17th came and he was discharged. We were given very little medicine for him. We brought him home and started his care. He flourished! We never went back for any emergencies or trauma. That would come later. He grew and began to act like other babies. We would find out later that some of the things he did that we thought was so amazing, like not crying as others babies would, was actually a sign that something was not okay. We would find out later that he had developmental delays that needed to be addressed. 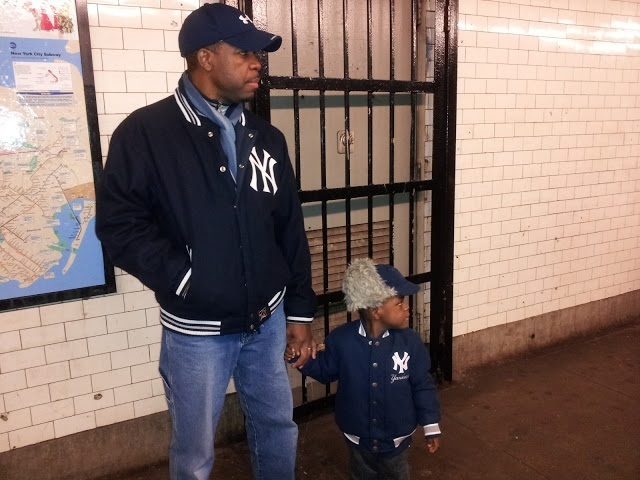 At 2, Isaac started to receive Early Intervention Services. It took a while to find someone who performed the right therapeutic approach for him. ABA was the best way to teach Isaac at that time. At 3, it was time for Pre-K. He attended the Shield Institute in the Bronx and really did well. He learned so much and grew in his understanding and ability to express desire and be more independent. He still has delays but he’s incredible. He will be starting Kindergarten this year and that will be another challenge. Becoming my child’s advocate seems to be my destiny and I gladly accept the fight for his well-being. It is very difficult but so worth it when I see his growth, physically, mentally and emotionally. Today, Isaac has no medical issues other than fighting seasonal allergies that can affect his breathing sometimes. Otherwise he is doing great. 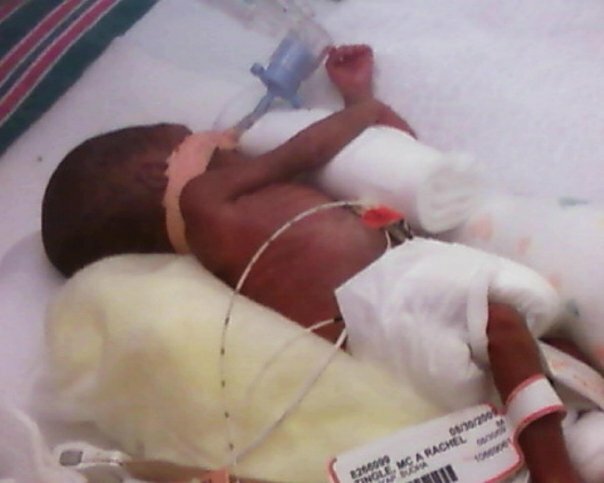 To look at his photo when in the NICU and to see him now is looking at a true miracle every day! Isaac has an incredible memory and he is super funny. I see so much of his Dad and myself in him. He’s overdramatic and a pleasure to be around. He has mastered all the alphabets and their phonetic sounds. He has mastered every color and shape along with his numbers. He can read by sight which I find particularly amazing and he’s in love with the Teenage Mutant Ninja Turtles! He’s mild mannered and always tries to make friends wherever he goes. We are so grateful for him and pleased to share his story as an encouragement to other parents of preemies. God Bless! I love to read inspirational stories about preemies and their families. I know that it is such a long hard road traveled and to see such a sweet positive outcome is awesome.